Highpower Security is an American manufacturer of high-performance access control systems and security equipment. Our team is dedicated to service and is here to help you determine the individual product you need, or to design a complete door access system. 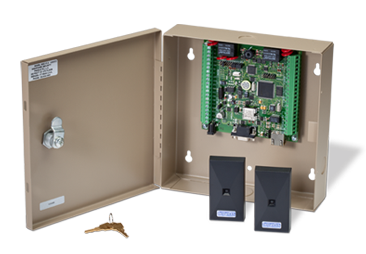 Many customers choose to order one of our popular access control kits, which contain all the components needed for safe, reliable and compliant door control. Highpower Security also provides design assistance of complete access control systems, and offers our own HMS access control software application. Our offices and factory are centrally located in Connecticut, and are housed in a historic building with a long manufacturing history. More on our facility and its interesting past. We invite you to discover the time-saving features, extreme durability and solid performance that our access control and security products provide.